In the spotlight for our latest staff profile, is 50-year-old customer service team member Mark Meda. Get to know a little more about the outdoorsy family man here. Mark Meda's is one of the friendly faces you'll see when you step through the front door at Willprint. "I have a partner named Leonie, two step sons, one son and one daughter. We have a dog, a rabbit and a Guinea pig." "Playing AFL football or coaching AFL"
"A night out with the family"
"Home-cooked Italian food, there's nothing better." 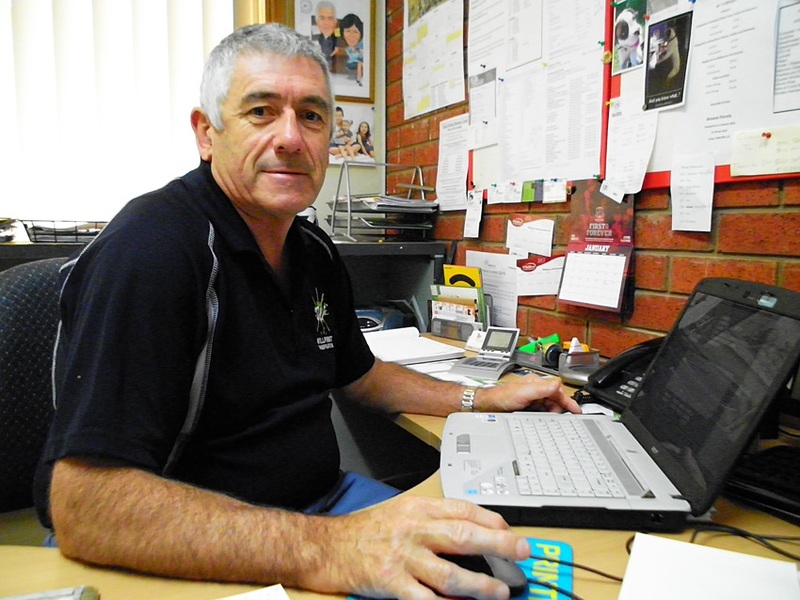 In the spotlight for our latest staff profile, is 53-year-old all-rounder Neville Carr. Get to know a little more about the married pet owner here! Neville is pretty handy all around the factory. "I'd be on the dole line"
Every step we take, every day that passes, every important event - be it happy or sad - memories are made. Memories are the mind's photograph. But when the mind can no longer recall them, who will pass down your family's stories to future generations? Don't let pieces of your history die as the people who know them intricately also come to pass. Record your family's history with a book, so its presence in the world is in print for eternity. It is the most valuable gift you could leave to future generations as they will discover their origins, learn of their past and get to know the relatives they'll never be able to meet in person. Ask us how we can help preserve your family's story. Visit: Ian, Jan and the team at 51 Drummond Rd, Shepparton, Victoria, Australia. Meet our admin manager and boss... 50-something-year-old Jan Almond, married to Ian (the boss man), has three adult children and seven "beautiful grandchildren". Position held at Willprint: "Co-owner, office administration"
What makes you tick: "Family"
If you could be famous for anything, what would it be? "Making a difference in people's lives"
If I gave you a hundred bucks right now, what would you do with it? "Buy tea for tonight, so I don't have to cook!" What do you want for Christmas? "Family time together"
If you retired today, what would you be doing tomorrow? "Sleeping in"
What is your best childhood memory? "Exploring our environment with my siblings"
What is your favourite food? "Chocolate!" What is your favourite movie? "Les Miserables"
What is your favourite song? "Bird on a Wire, by Joe Cocker"
Willprint owners and managers Jan and Ian Almond flank 20-year employee Scott Almond. 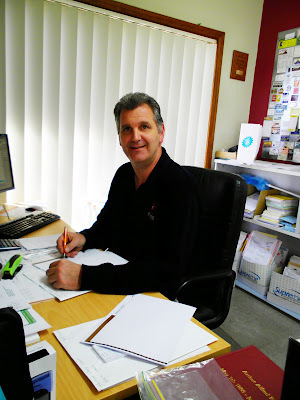 Fresh out of school in 1993, Scott Almond jumped headfirst into a printing career with Shepparton Printing Company S.M. & T.A. 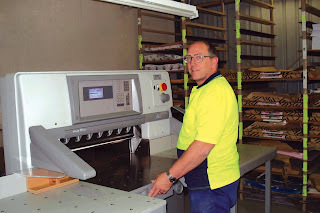 Williams Printers (now Willprint Shepparton Pty. Ltd.). Scott completed a four-year apprenticeship on the job with regular stints at tradeschool (RMIT) in Melbourne to obtain his trade certificate. This year - 2013 - marks the pressroom manager's 20th year in the industry. He is Willprint's current longest-serving employee aside from boss Ian Almond, who with wife Jan (and second Willprint boss), purchased the business from his employers, previous owners Max and Thelma Williams in 1996. Scott said his most enjoyable moments in the past two decades included moving from 'the old tin shed' to the new factory at 51 Drummond Road, and when the four-colour printing press arrived. When he first started the press room was running two single colour printing presses (Heidelberg GTOs), but since has also welcomed a two and four-colour press (among other large format machines that have come and gone again). 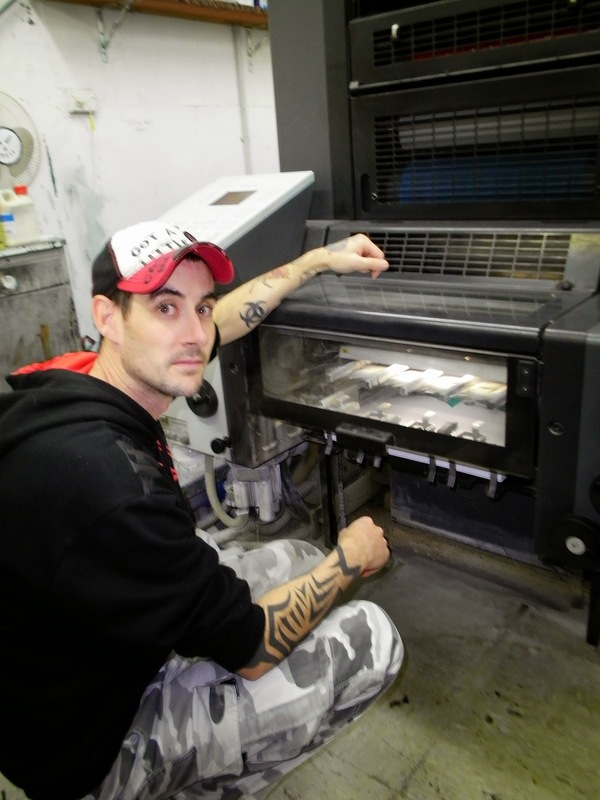 Scott, who primarly operates the four-colour Heidelberg Speedmaster, said it was great because instead of feeding the paper through four times for four separate colours, you need only feed it through once and you'll see the complete result instantly. "It takes some of the skill out of it, but improves the quality," Scott said. Scott said the evolution of machinery throughout the years had been the biggest change at his workplace. For the industry, overall, however he said the most dramatic changes included the automation on printing presses, the introducation of digital printing and high-tech computers in the plate-making area, which mean no more manual cutting and paste-up. When asked if he still saw himself at the controls of a printing press in 20 years' time he said he couldn't look that far ahead. "It will depend on where printing goes," Scott said. "If it goes digital I don't want to print digital...I don't like the results from it compared to what these (offset printing presses) put out." 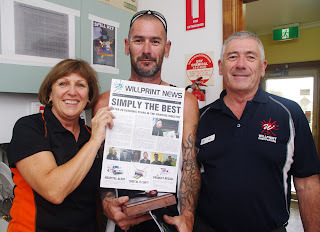 Willprint owners Ian and Jan Almond congratulate Scott on his 20 years of service. A presentation was held to mark the occasion in February where Scott was presented with gifts, a plaque and a mock-up newspaper front page. A presentation was held in February to mark Scott Almond's 20 years of service to Willprint. He is pictured with bosses Ian and Jan Almond. Our boss, Ian Almond, at the helm of his ship. We're back on deck after our lovely slightly-longer-than-normal Christmas break and are full swing back into designing, printing, finishing and packing all sorts of wonderful print products. We hope you all enjoyed a nice Christmas and we wish you all a happy new year. We thought we'd kick ours off by having a little chat with the boss man in the first of a series of Willprint Shepparton staff profiles. Meet our boss... 59-year-old Ian Almond, married to Jan (the boss lady), has three adult children and seven grandchildren he describes as 'fantastic'. 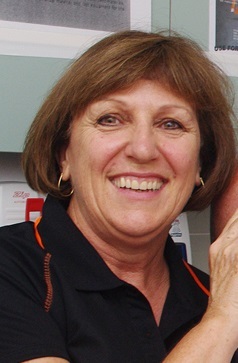 Position held at Willprint: "2IC... Jan is the boss!" What makes you tick: "Family and life"
If you could be famous for anything, what would it be? "World's No. 1 golfer"
If I gave you a hundred bucks right now, what would you do with it? "(Buy) golf lessons to become famous"
What do you want for Christmas (seriously, are you already thinking about Christmas?! ): "No presents - just my family happy and well"
If you retired today, what would you be doing tomorrow? "Preparing the caravan for a long trip"
What is your best childhood memory? "Fishing down the creek and riding bikes through the bush"
What is your favourite food? "Meat and veg, or risotto"
What is your favourite movie? "Rocky Horror"